If your tummy is jingling for some Christmas gastronomy, you can’t go wrong with the respectable Ginger, the all-day dining restaurant at PARKROYAL on Beach Road. 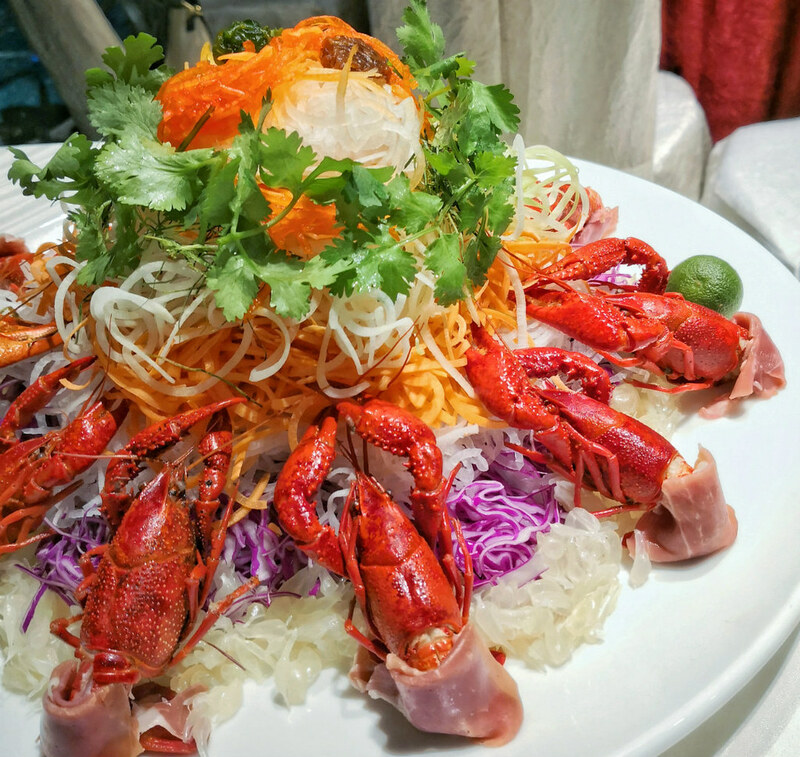 Featuring classical highlights like Honeyglazed Ham, alongside local favourites (Singapore Chilli Crab!). 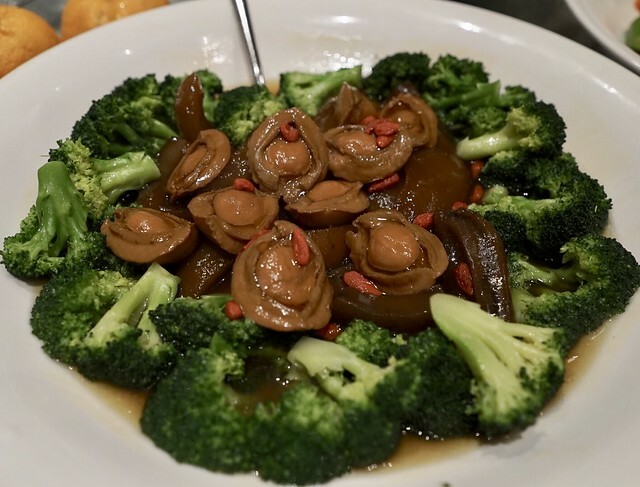 Other than the spread (which has left me salivating already), the hotel also dishes out a selection of party-pleasing festive takeaways from Ginger and Si Chuan Dou Hua restaurant. Here are a few dishes that I’ve selected and enjoyed thoroughly, so if you’re here for Christmas buffet you can go straight to the yummy. Pardon me for skipping the vege line and head directly to the carving station, but the carnivore in me just find this good-old fashion Traditional Roasted Turkey desirable. Gigantic and intimating from the surface, yet tender and soft inside. 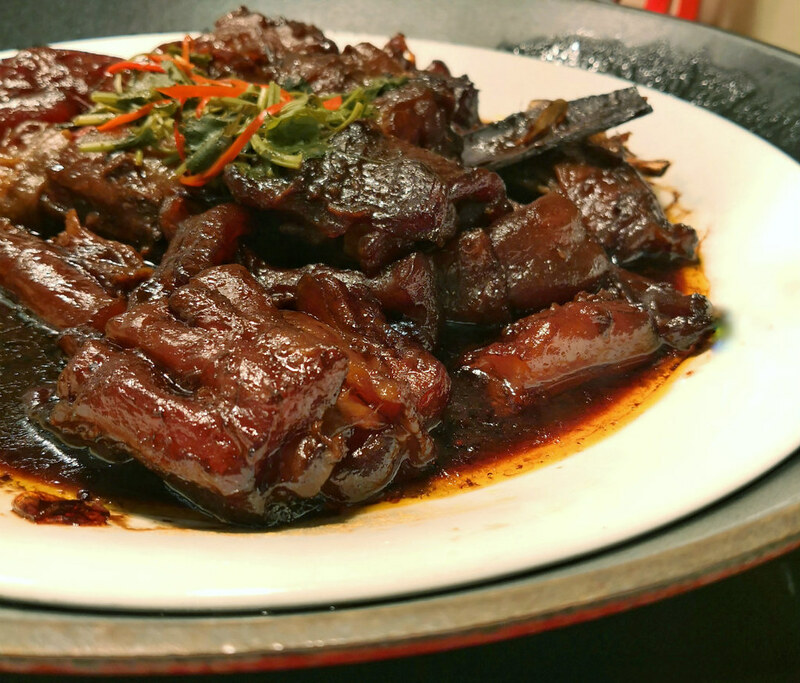 Drizzled with Giblet Sauces and Cranberry Jus to give it an exquisite flavour and luscious glow. Anyway, there is no Christmas without turkey. Cholesterol aside, the Rock Lobster Bouillabaisse is something I will heavily indulge in. 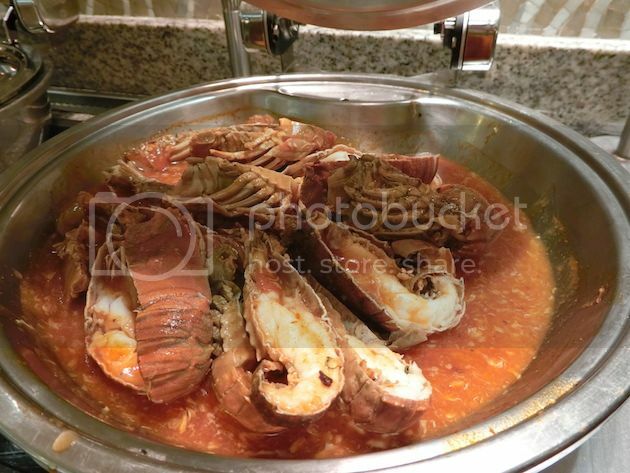 Savoury and refreshing, it is good as an appetizer soup, and the lobster meat is fresh, succulent with abit of a bite. Just remember to have it hot as the stew doesn’t taste as good when its cold. Perhaps anticipating heightened consumers taste, PARKROYAL on Beach Road sort of one-up their selection by adding some flair to the otherwise dull/ expectable seafood station. 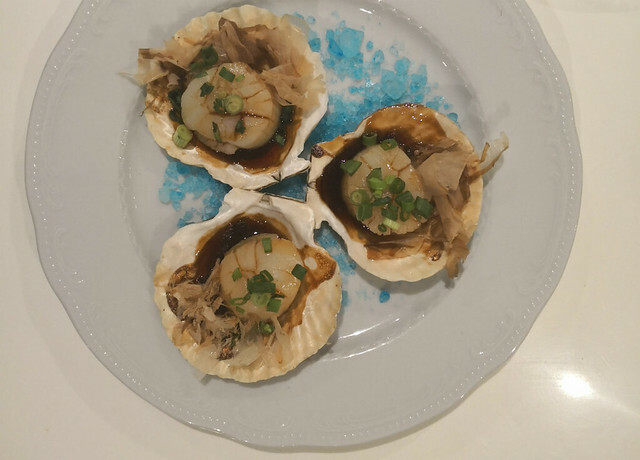 The Grilled Scallop with Yuzu and Shoyu has that raw, minimalistic pizzazz only the seafood aficionados can appreciate. Nothing to sharp and it tastes just right. Oishi neh! Of course, there are a number of delectable varieties the new Executive Chef Vincent Aw and his culinary team has introduced for us. 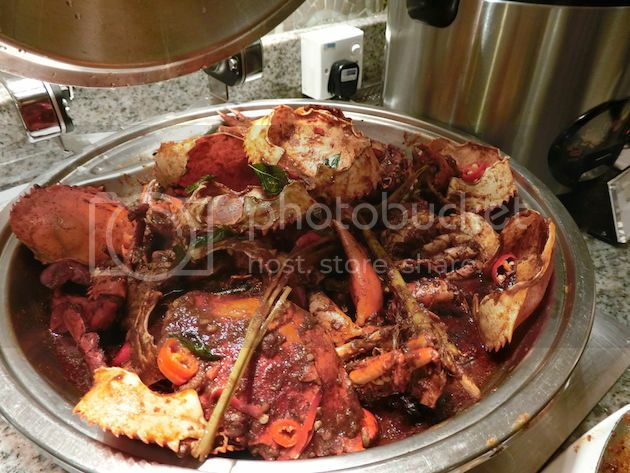 Don’t missed the Singapore Chilli Crab, Assorted Satays and Singapore Laksa. 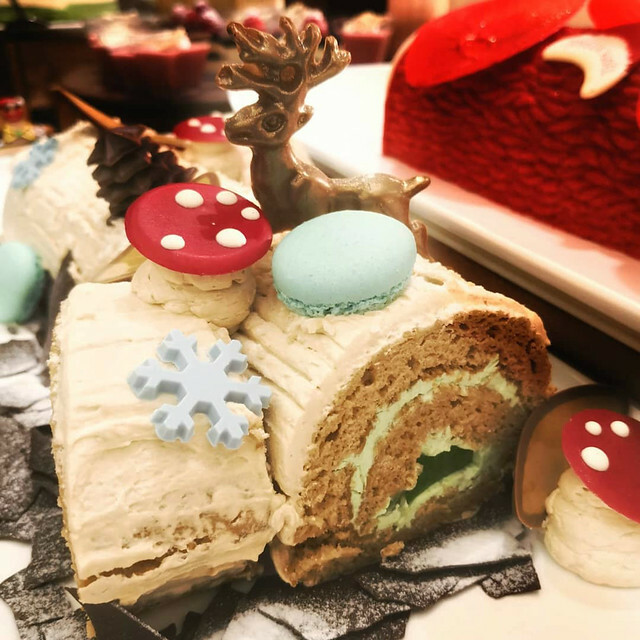 The desserts corner, however, is ever more alluring especially when smacked right in the center of the buffet line, with assorted Christmas cookies, Gingerbread cookies and colourfully decorated cakes. 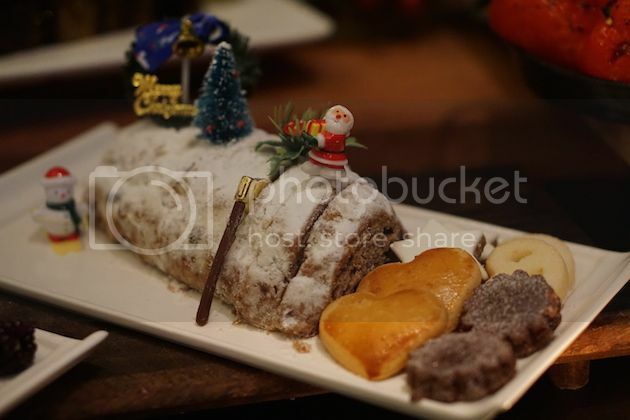 Their main signature for this Xmas is the delightfully fragrant Gula Melaka Log Cake with Coconut Flakes. 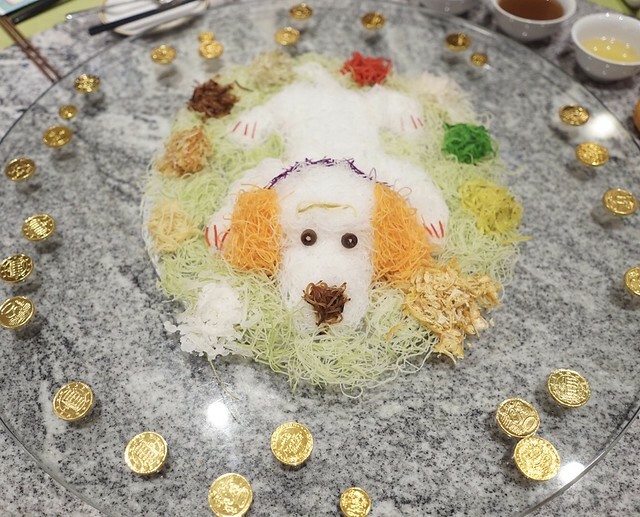 The log cake is moist and fluffy, with a mildly sweet gula melaka inner. Decorated with a few Christmas tingles (did I see macaroons shells?) 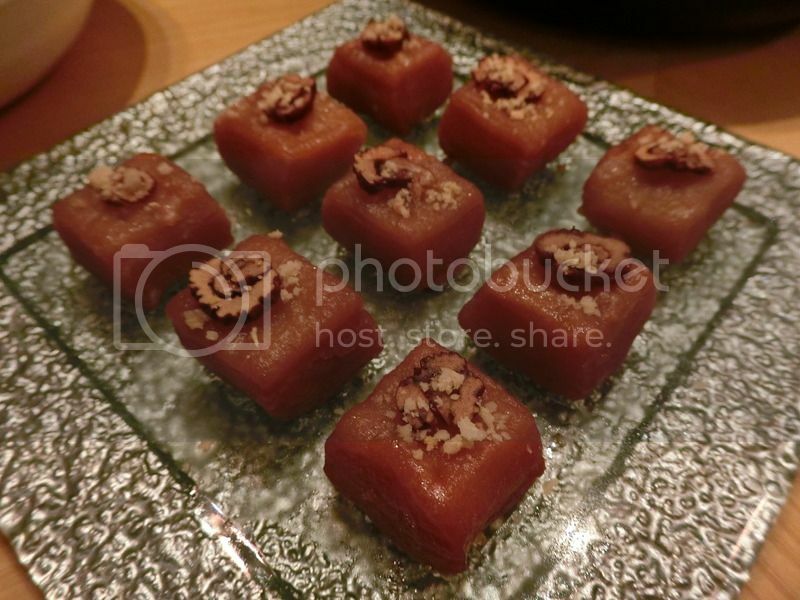 it is a flavour that would probably surprise the guests yet heartily satisfy their sweet tooth. 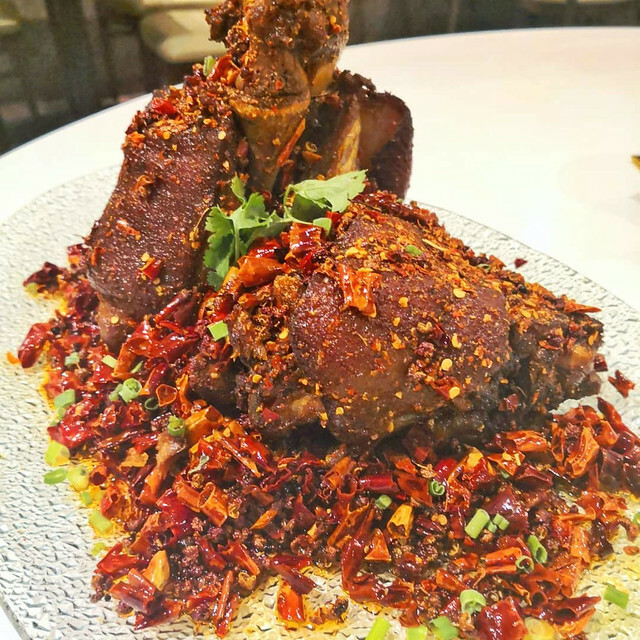 Perhaps saving the best for last, The Festive Pork Knuckle with Dried Chilies and Peppercorns (good for six pax, available for takeaway) from the famed Si Chuan Dou Hua Restaurant is simply a Must-try. Not as spicy or numbing as it appears to be, the spices above just gives an added aromatic umami edge to the tender pork. As the end 2018 draws nearer, so does Christmas as well. 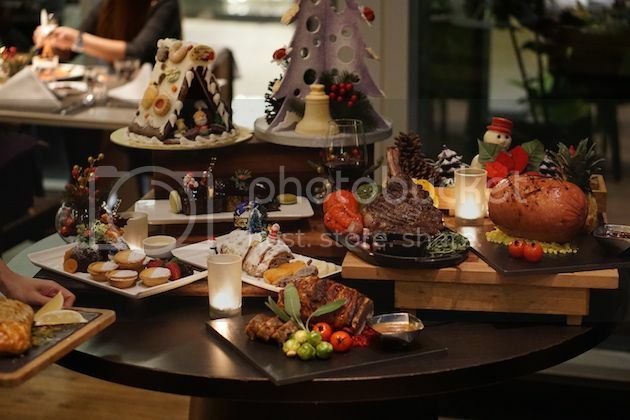 Hotel Jen recently launched its festive Christmas menu and its one not to be missed. 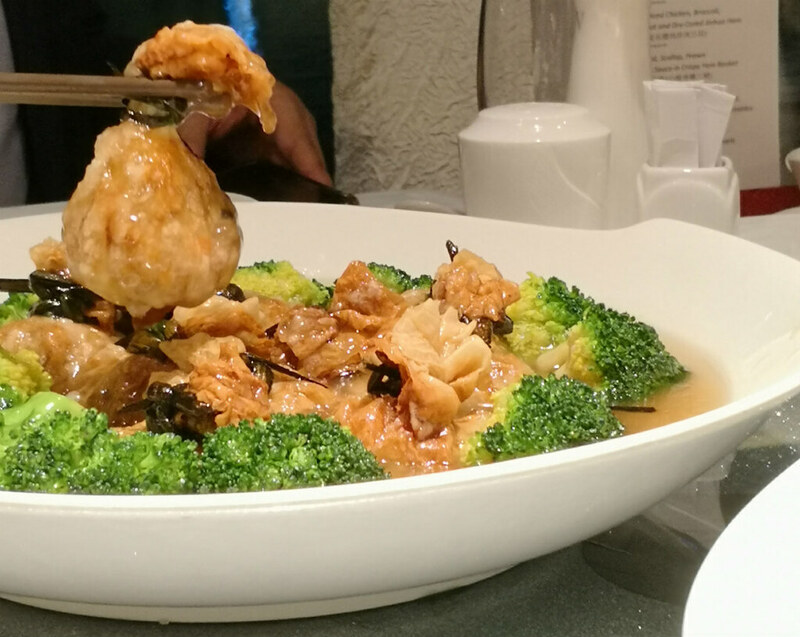 Being one of the relatively newer hotels in orchard, Hotel Jen’s buffet menu doesn’t fall short to the rest. Before I start critiquing on the food, can I just add that the nicely decorated alfresco dining is one you definitely need to request for. If you’re looking for something romantic or simply something warm that set the tone of Christmas, do request for the outdoor seating. 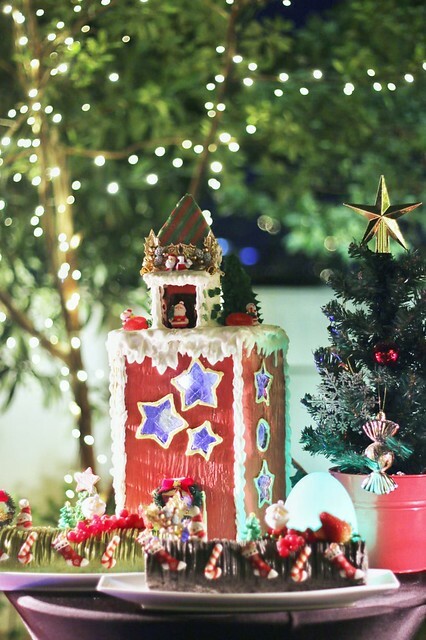 The unrestricted outdoor view, the nicely decorated trees with fairy lights coupled with the cool wind really brings a whole new sensation to a Christmas dinner in Singapore. 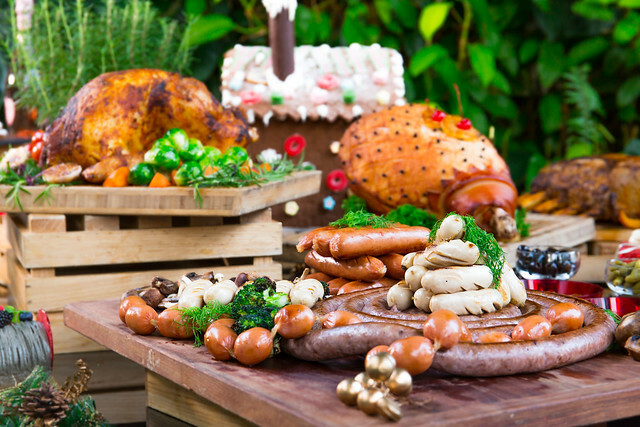 A big shout out to all carnivores out there, Hotel Jen’s Christmas menu (on top of their standard buffet menu, which already have an extensive selection of seafood) consist of a myriad of sausages and meats! These include Coiled English Cumberland, Spiced Chorizo Sausage, Bratwurst, Neuberger and Cheese Cracker Sausage. Yes you heard it right, Cheese Cracker sausages! Who doesn’t like a good cheese sausage. The briny cheese within the warm sausage just compliments the umami-ness of the sausage without overpowering it. And if you’re wondering, the flavour of the sausage is not overpowering which really makes me return for more. They also provide condiments such as – mustard, pickles, sweet and red sour cabbage to compliment and cut through the fat. 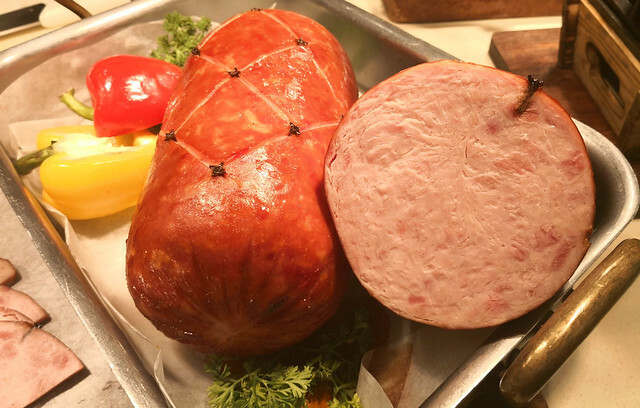 Next, what is Christmas without Ham. 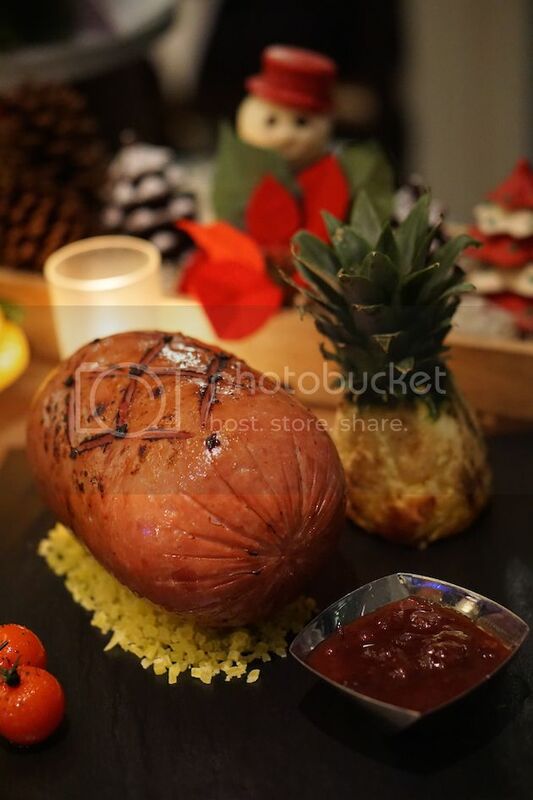 The Honey Baked Ham with Caramelised Pineapple is another dish not to be missed. Even though its slow roasted the ham still retained all that moisture and remained juicy even after the roast. 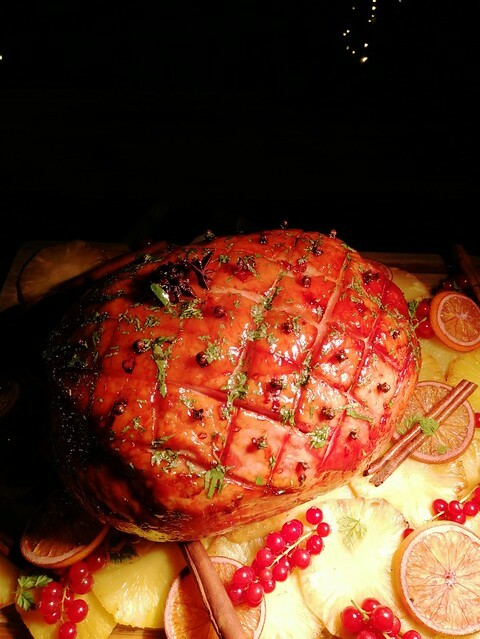 The caramelised pineapples really bring an Asian touch to roasted ham as well. If you love Hawaiian pizza, this really reminds me of it, minus the pizza dough. 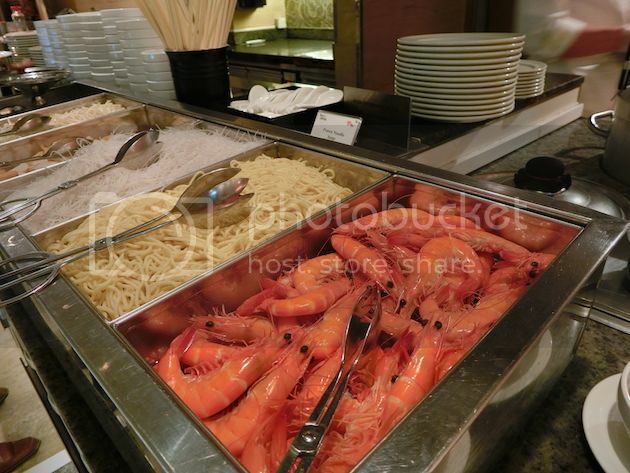 One thing I really like about Hotel Jen’s Christmas buffet is that the Chefs’ do carefully think about what side dishes compliments the poultry. The slow roasted ribeye was roasted to perfection. Complimented with the Wine ripe tomato, really brings a burst or freshness with every bite. Secondly, the Maple Syrup, Merlot Turkey. The maple syrup really adds another dimension to the dish and brings out the flavour of the bird. 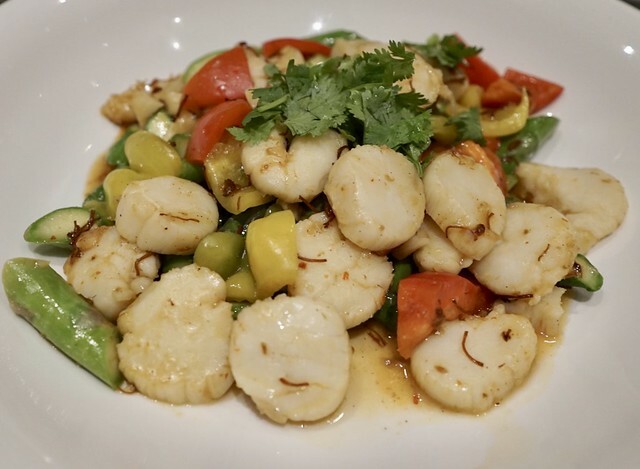 Complimented by the Trio Pepper in Yam Fritters, this dish is really one to be looking out for as well. The Roasted Turkey with stuffing, with the Own Grown Basil Morello Cherry Compote is also another notable mention. All in all, I would say that the Chefs’ at Hotel Jen did a great job in brainstorming for this festive menu. Each side dish has complimented the accompanying poultry well and bringing a new depth and creativity to our normal Christmas favourites. 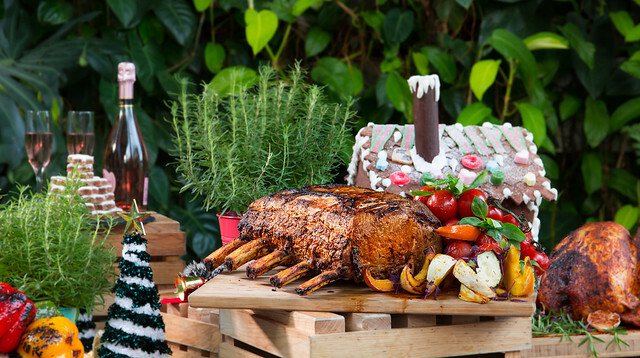 This Christmas menu really shouts out to all the meat lovers out there. 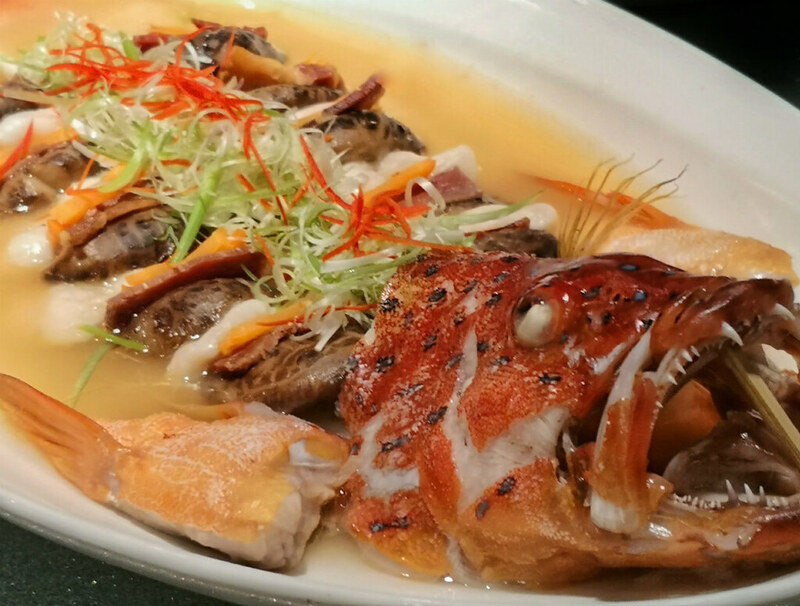 Even if you’re not a meat lover, do head down and enjoy their huge variety of seafood dishes as well. At such a reasonable price, together with this extensive selection, do head down and celebrate Christmas at Hotel Jen, and remember to ask for the outdoor seats. 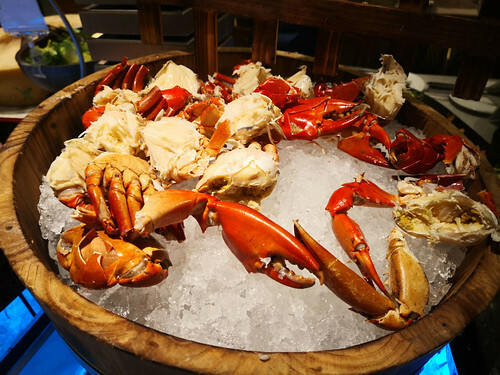 Orchard Road is a hotbed of fancy hotel restaurants and cafes with buffet-style offerings, but none comes close to Surf & Turf Buffet Dinner @ Window On The Park in terms of value for money. With its 1-for-1 offer, diners get to choose 1 main dish from the five new Surf & Turf dishes specially curated by Executive Chef Ken Chaw and team. 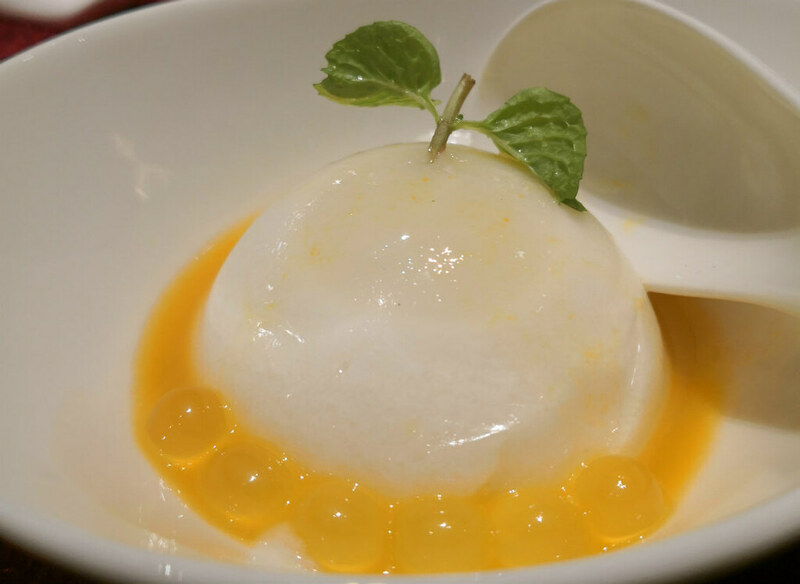 Each main is complemented by the well-executed, free flow appetisers, soups and desserts. 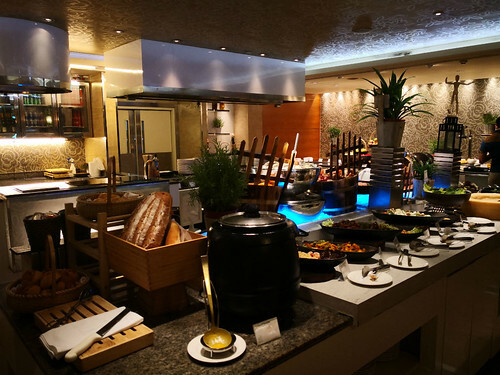 Comfortable, casual and laid-back, this sprightly restaurant at Holiday Inn is a great place for a after work dinner with colleague or friends, preferably in pairs so as to utilize this great 1-for-1 deal. I adore the simple, homely ambience without too many needless distractions that some of the major hotels embellish themselves with. 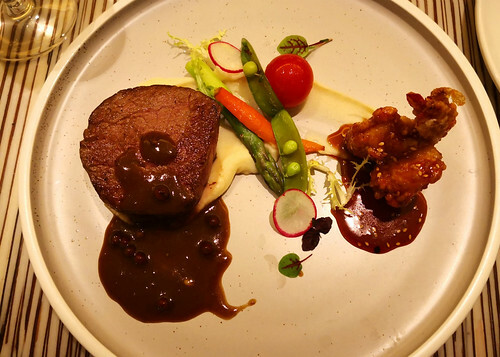 For me I choose the Grilled Angus Tenderloin with Peppercorn Sauce and Gochujang Jumbo Prawn. 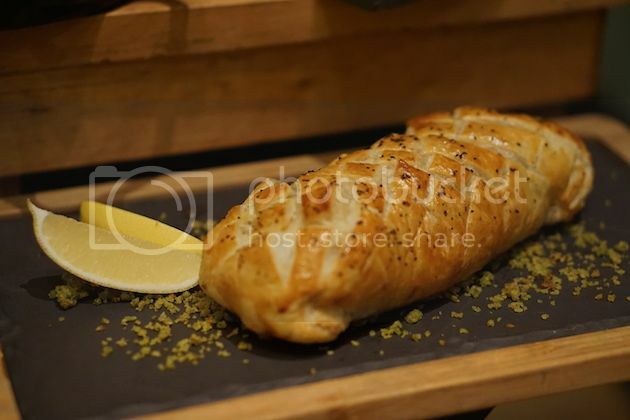 The tenderloin is tender and nicely drizzled with the peppercorn sauce, elevating its savouriness. While the star should be beef, the limelight is somewhat stolen by the jumbo prawn. Crunchy, juicy and reek full of flavour, the bite is pure satisfaction by itself. 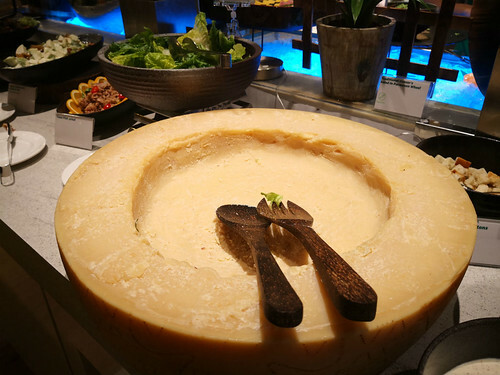 While waiting for my main course (trust me, it isn’t very long), I browse around the semi-buffet spread and found a big Parmesan wheel. Apparently, this is meant to toss your D.I.Y salad (cherry tomatoes, sliced capsicum, preserved olives and many more) to make a cheesy Caesar’s Salad. 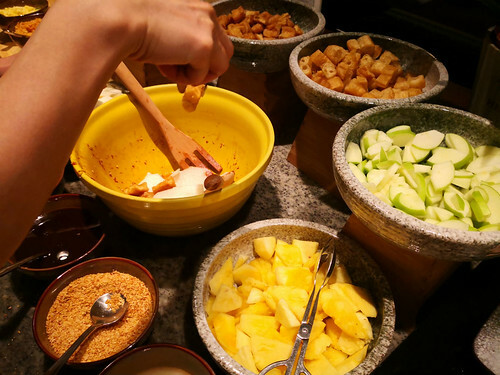 Speaking of D.I.Y, you can also make your very own rojak. With a rojak section that contains all the necessary condiments and a mixing bowl to work that magic, it is very hard not to have fun preparing your very own version of local grub. Of course, the dinner buffet at Window On The Park ultimately caters to an international clientele. So you can expect freshly shucked Canadian oysters, prawns, crab meat, ssushi and other seafood varieties. 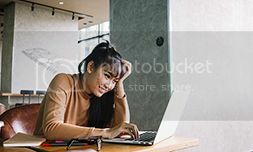 You can also order the ever-popular Chef’s Singapore Laksa where you have the option of the chefs personally preparing a bowl of local goodness for you or you do it D.I.Y. 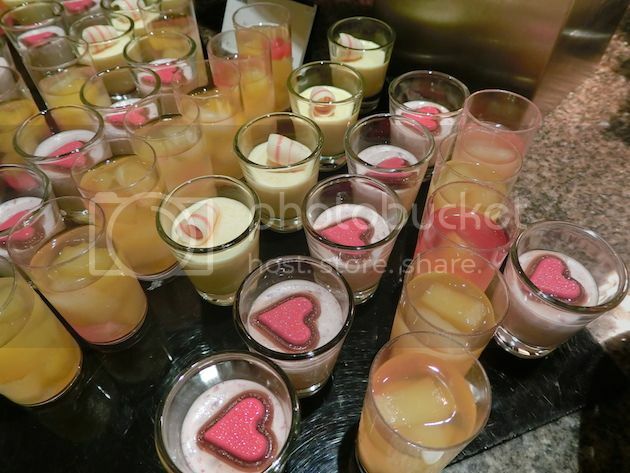 No buffet dinner is complete without sweet notes of desserts. 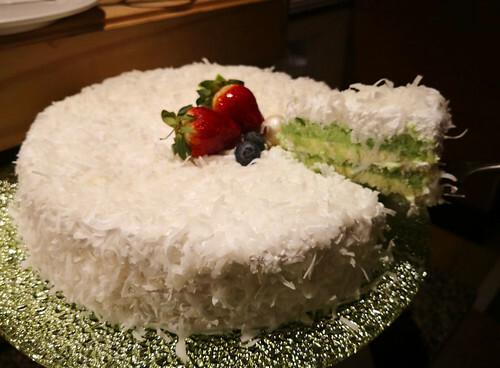 One remarkable find is the Ondeh Ondeh cake. 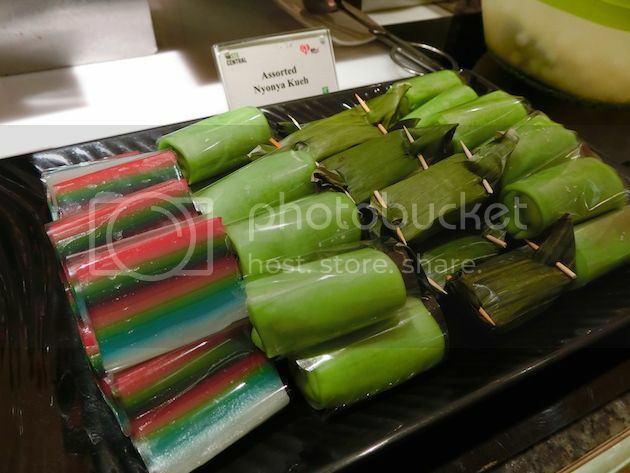 With its thick and fluffy pandan layers, coconut butter cream and generous amounts of Gula Melaka in between, top it with one of the three flavours of ice cream for a complete after dinner indulgence! 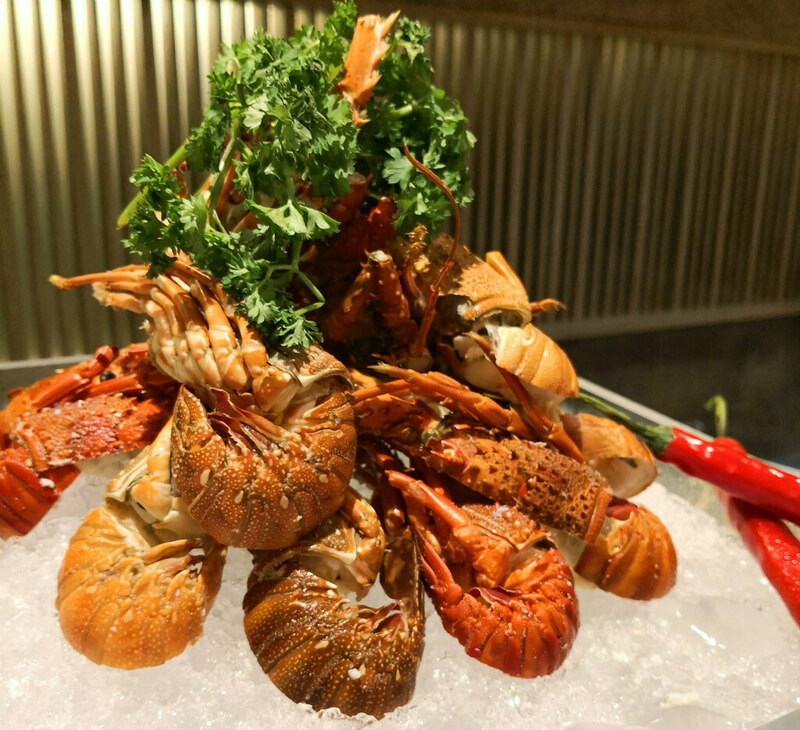 Pioneer Generation Cardholders enjoy the surf ‘n’ turf buffet dinner at $35++ per person. Calling all durian fans & aficionados, Coffee’s Lounge Durian Dessert is back – bigger and better! 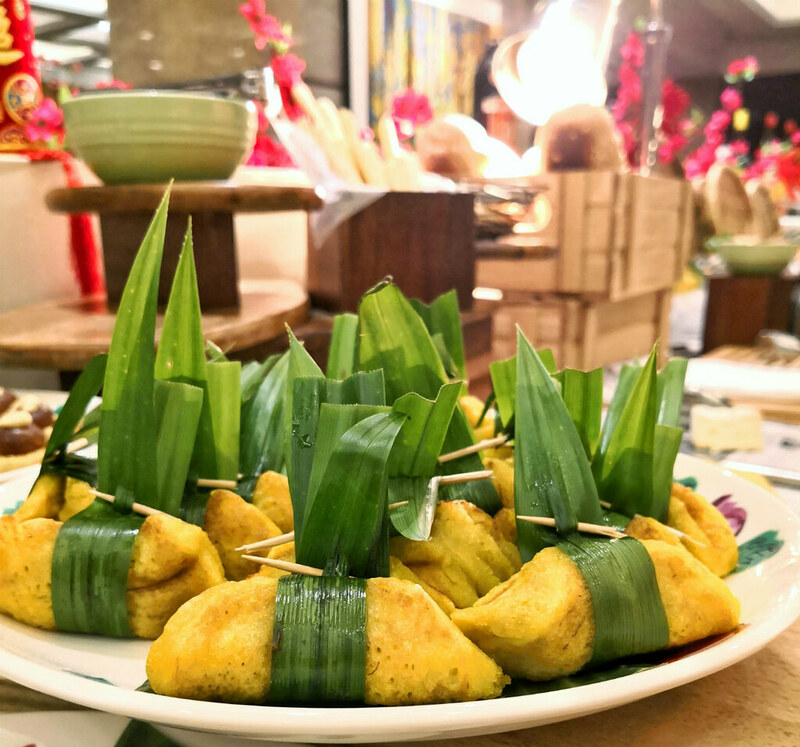 For the first time ever, the much-loved classic buffet will feature durian pastries made with only the finest Mao Shan Wang durians – a step-up in the game from the D24 variety showcased in the previous years. As this exclusive buffet ends on 17 November 2017, lovers of this spiky king of the fruit must hurry to savour the durian-gastronomic spread! 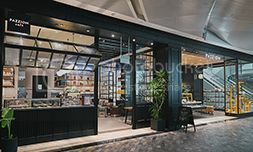 From the moment I stepped inside the pristine Coffee Lounge I was expecting a strong, pungent smell of the famed Mao Shan Wan durian whiffing out and boy was I wrong. It was only when I am one feet or two away from the buffet spread can I detect the aromatic scent of this tropical fruit, thereby keeping the classic-contemporary of the premise, with its exquisite serenity vibe intact. Apart from the regular desserts currently serving at Coffee Lounge, here’s what you can expect from the veritable spread – Mao Shan Wang Mochi, Mao Shan Wang Waffles and Ice Cream (live station), Mao Shan Wang Sticky Rice, Mao Shan Wang Crumble Tart, Mao Shan Wang Crème Brulee, Mao Shan Wang Éclair, Mao Shan Wang Toast and Mao Shan Wang Pandan Cake. These eight finger-licking creations adds a unique tropical twist to Coffee Lounge’s existing hot and chilled local desserts, cakes and ice cream. For me, the two must-grab desserts in the Mao Shan Wang (MSW) series is definitely the MSW Crème Brulee and MSW Durian Ice Cream. Sweet, creamy and delicate, the slightly charred top of the Crème Brulee gives that slight crunch to elevate the contrast of its texture. The MSW Durian Ice Cream tastes exactly like biting into the rich savoury meat of MSW and more. You can choose to add-on from the many toppings available, or plop a few scoops onto a fluffy waffle for a sinful indulgence treat. 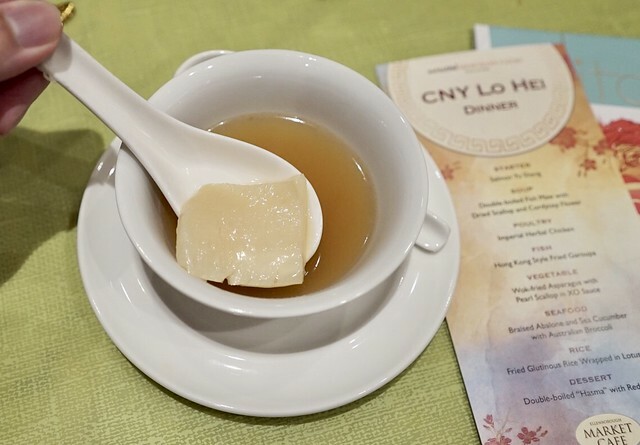 Besides the Durian buffet, Coffee Lounge also added seven new dishes onto its Design Your Own Local Degustation Set Menu. The new dishes added to the 3-Courses and 4-Courses set menu are – Tahu Telur and Pork Satay for the Appetiser selection; Nasi Briyani and Nasi Lemak for the Rice & Prata selection; Xing Zhou Been Hoon, Hokkien Black Noodles and Mee Soto for the Noodles & Other Specialities selection. *Exclusive for Citi Credit and Debit Cardmembers, enjoy a 10% discount on Dessert Buffet with Mao Shan Wang Pastries Only during this period. 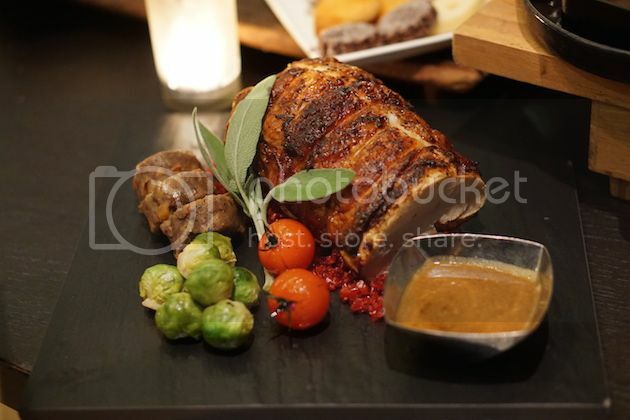 With Christmas around the corner, restaurants and hotels residing in every corner of Singapore are firing up their Turkey-licious Christmas menus! 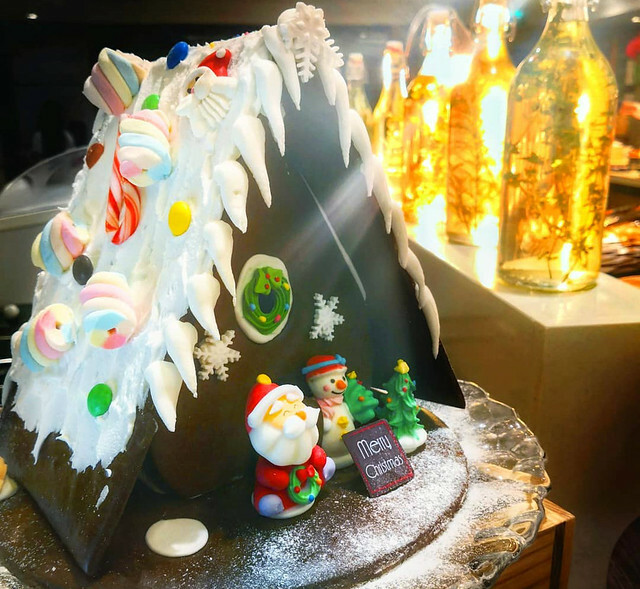 But if one was seeking a bedazzling Christmas menu, the award-winning “10 at Claymore” residing at the lobby of Pan Pacific Orchard Hotel, is definitely one of the top choice to consider. This is with special consideration for an intimate round-table luncheon which the hotel will be hosting just on Christmas Day itself to add a special festive touch. 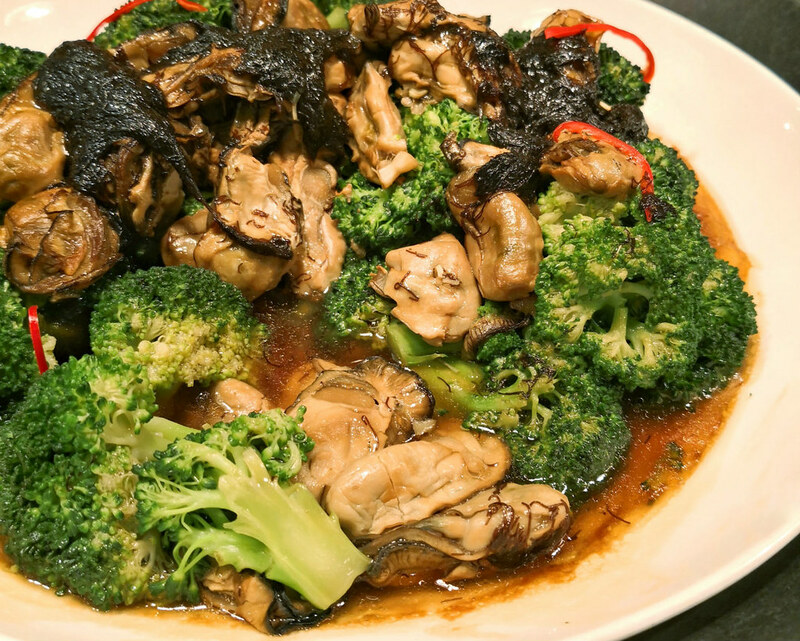 Nowadays, I find many restaurants either over-promising the variety of their food or compromised on its quality. Worst if sometimes both happens and at the expense of huge bill size! However, for this hotel buffet, I assure you that you will definitely fancy the spread here especially if you are avid poultry eater. 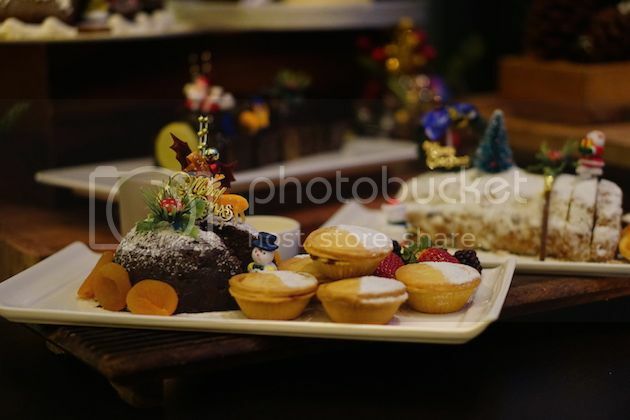 I would not say this is the most affordable Buffet in town but the cost is definitely well justified by Award-winning executive chef, Andy Oh’s creative spin to some of the traditional Christmas savories. 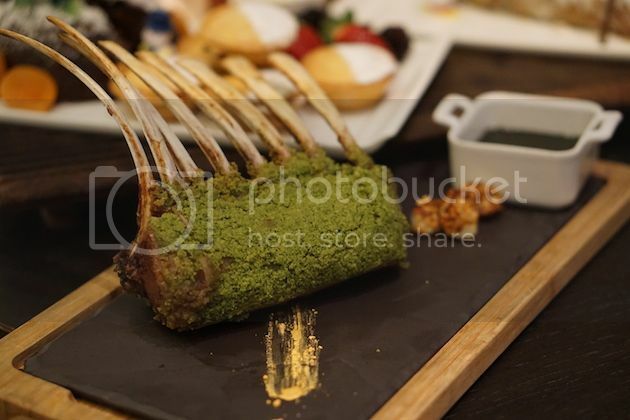 This includes a series of delectable offerings such as Roasted Turkey with Cranberry Chutney, Honey Baked Ham, Herb Crusted Organic Rack of Lamb and etc. 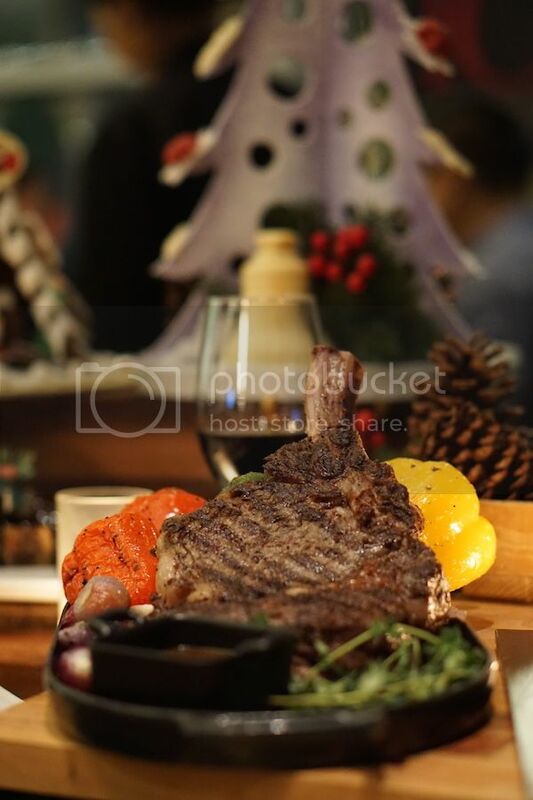 But the one that caught my stomach’s attention the most would be their Succulent Blackmore Wagyu har-grilled “Cape Byron” Angus Prime Rib, slow cooked to perfection! You do not even have to sink your teeth into the steak to know its tenderness; it can even be sensed when slicing through the meat and marbling with my table knife. Indeed, I did not have to chew much to enjoy the entire slab of beef. Also, a good amount of marbling gave out its distinctive & palatable flavour. Frankly, I enjoyed it so much, I think I easily had almost 500g of it myself! Speaking of making my buffet worth its cost! Lol! Of course, all the other dishes were equally good as well! 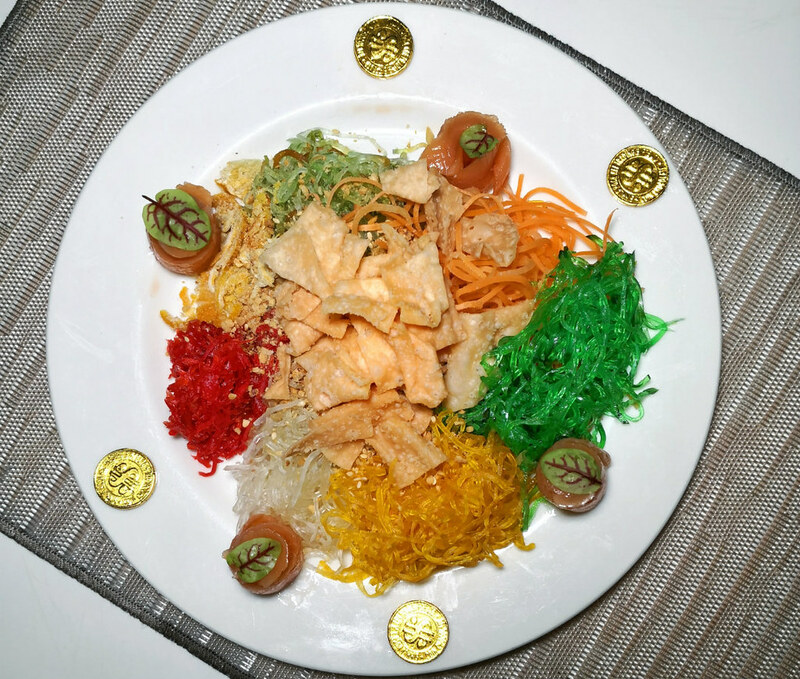 Another highlight of this buffet would be this award-winning Char Kway Teow! 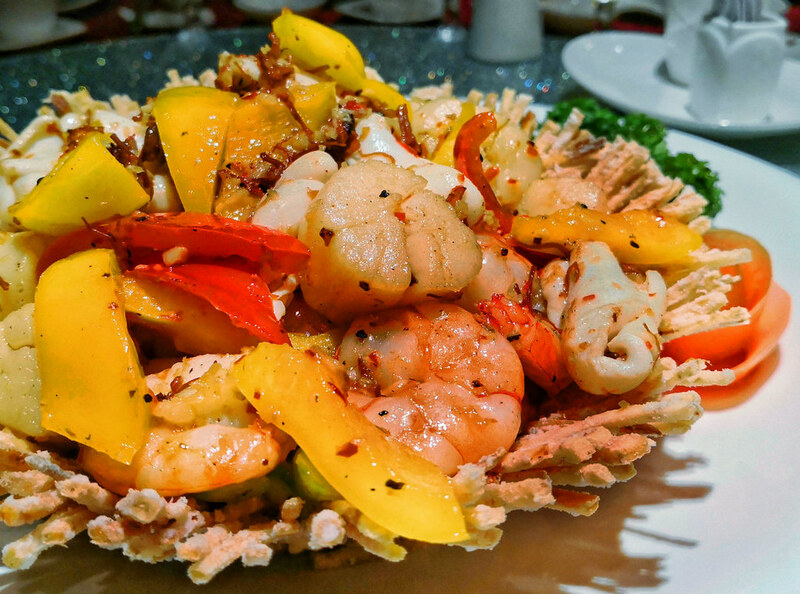 I bet you must be thinking what does Christmas got to do with this Penang dish! However, I still insist in sharing the best stuff I tried during my food tasting session. 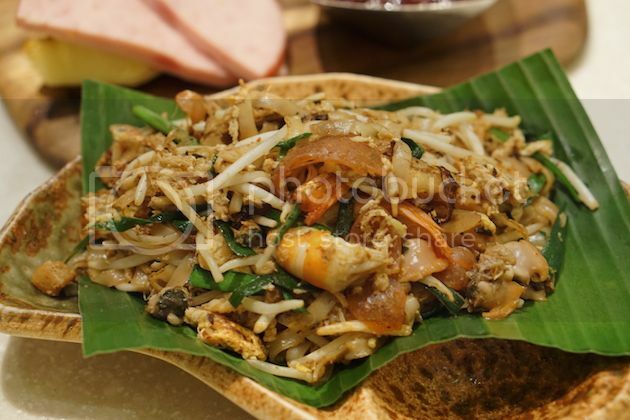 If you yearn for some Penang Char Kway Teow, this place offers the likes of it with a good, intense Wok Stir-fried taste! Thanks to the Malaysian roots of Chef Andy Oh!, Now you do not have to fly over to Penang just to enjoy a good plate of Authentic Char Kway Teow! 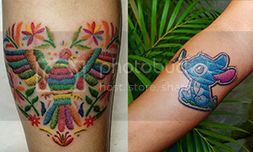 As mentioned above, you can also choose to dazzle your family with an intimate round table Christmas Luncheon, and revel in a memorable experience in their banquet venue decked with festive ornaments. 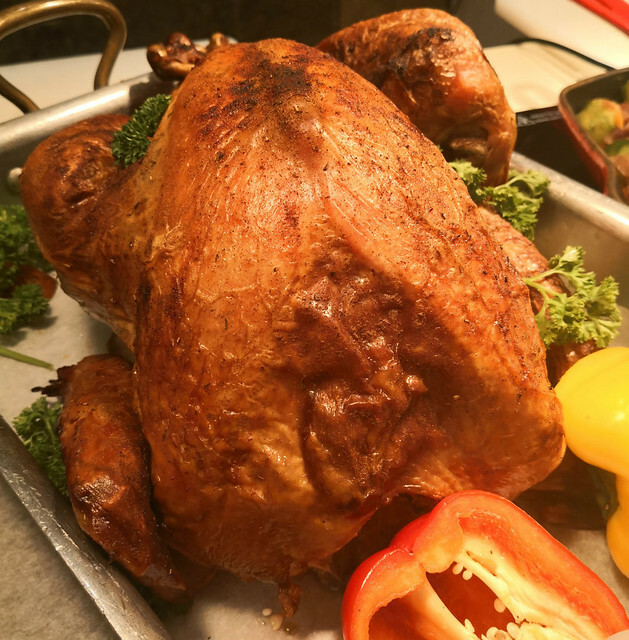 For this luncheon, you get to savour Traditional Roasted Turkey complete with Homemade Chestnut Stuffing, Giblet Sauce and Cranberry Chutney, as well as the ultra delicious Chr-Grilled “Cape Byron” Angus Prime Rib and Protuguese Linguica Sausauge! From 12-3pm, per table seats 10 pax and it is priced at $888 per table. 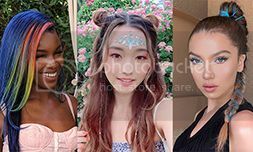 K-Pop, K-Beauty or Korean food isn’t going to exit Singapore any time soon because people are generally crazy over anything Korean! Singapore Marriott Tang Plaza Hotel’s Marriott Cafe is pulling the heartstrings of Korean food aficionados with a sumptuous kaleidoscope of Korean delicacies. 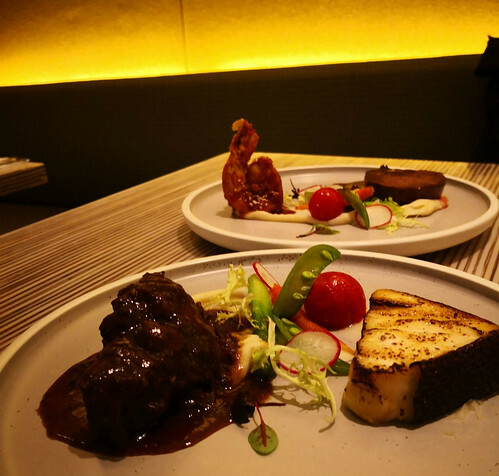 The dishes are specially prepared by guests chefs Choi Dae-hwan and Lee Jae-Bin from JW Marriott Dongdaemun Square Seoul. 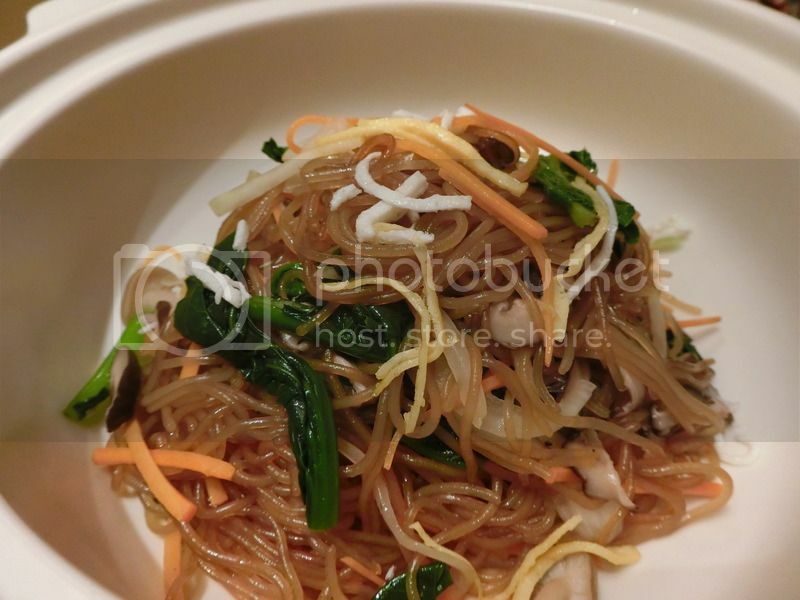 With authentic chefs from Korea, you can only expect authentic Korean food! Diners will be spoilt for choice with hearty stews, ever-popular bibimbab, delightfully savoury kimchi pancake, fried chicken, succulent roasts and many more. 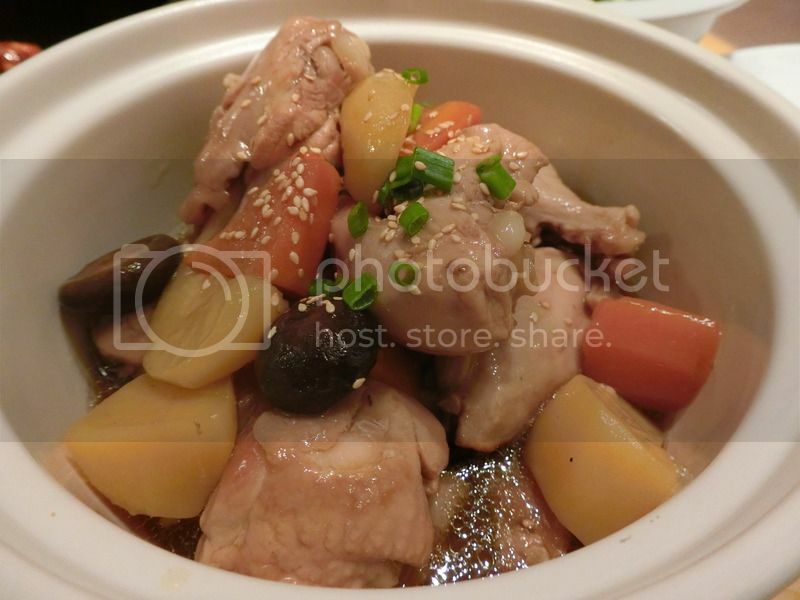 Soup lovers will enjoy the Beef Turnip Soup; Kimchi Stew Dry, Pollack Soup as well as a Soup of the Day. 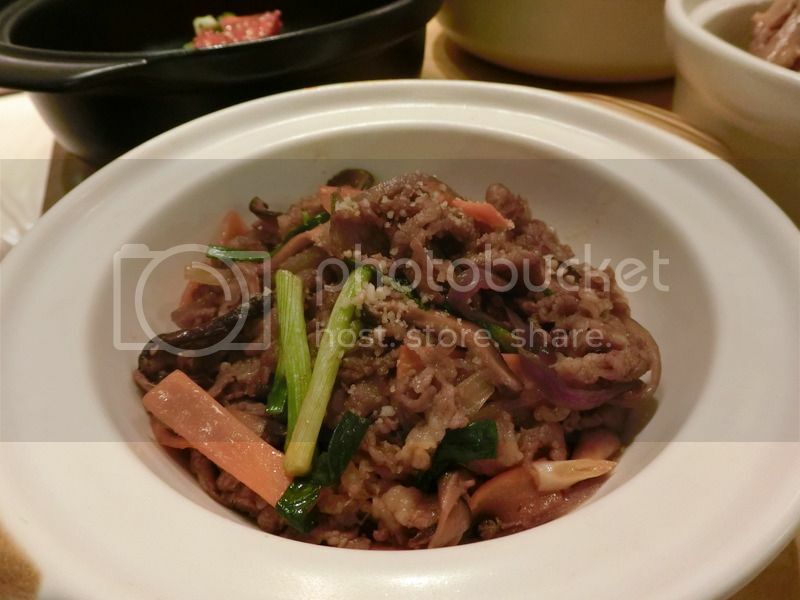 P/S: The Beef Bulgogi is damn gooooood! If you prefer to have a mixture of International delicacies, their Sushi, Sashimi, Herbal Soup, Indian food and more are still available. 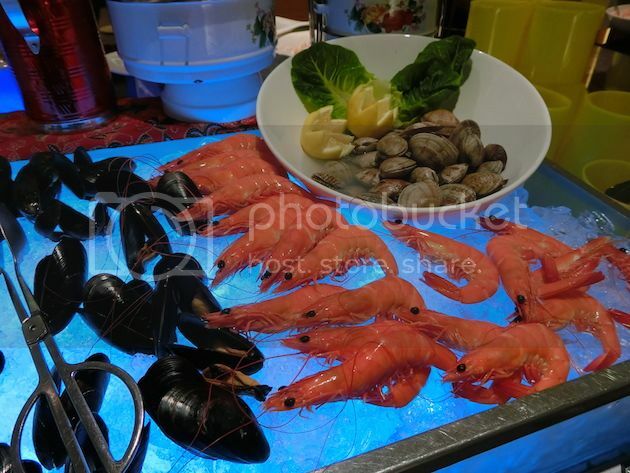 They have the freshest selection of seafood such as Snow Crab Legs; Live Prawns; Seasonal Oysters; Crayfish; Mussels and Gong Gong for the seafood lvoers too. I am a fan of their Nonya Kuehs so if you love kuehs as well, I would suggest you to save some space in your stomach for them too! 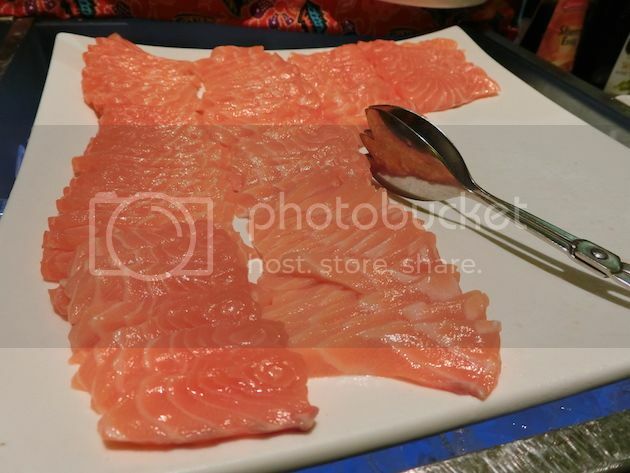 Back at Holiday Inn Singapore Orchard City Centre (HISOCC) for their buffet. 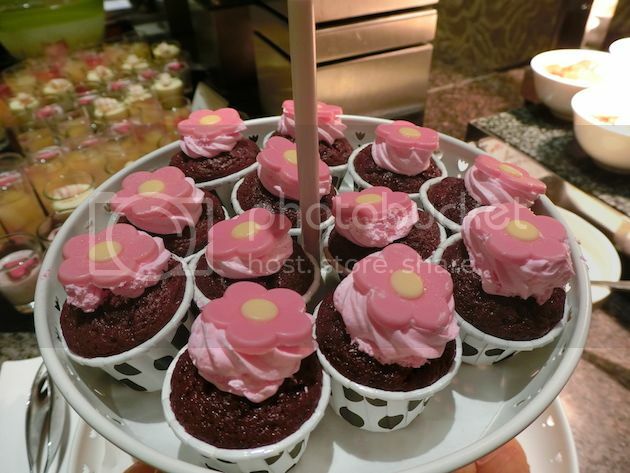 If you haven’t already know, HISOCC – Window on the Park has one of the most affordable hotel buffets in Singapore!! There are 51 specially curated local favorites for SG51. Expect DIY station like Prawn Noodles (my favourite!!) 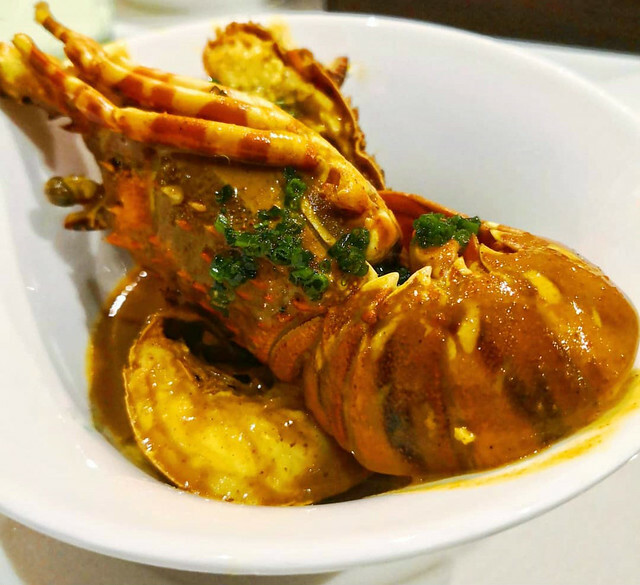 or Lor Mee among the other local favorites such as Black Pepper Crayfish, Chilli Crab, Sambal Stingray and more. If you are a seafood lover, enjoy fresh seafood spread of salmon sashimi, prawns, mussels, scallops and oysters (for dinner only) as well. 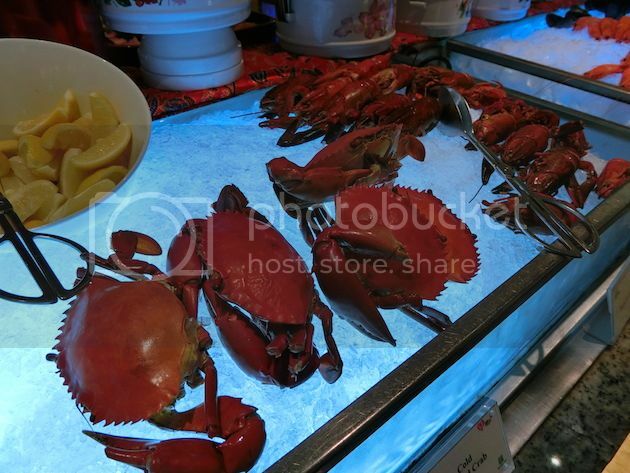 FYI, they were so fresh that I had my doubts when I found out about the price of the buffet! End your meal with a sweet note with an assortment of Nyonya Kuehs, Durian Pengat and Egg Tarts. Remember to visit them before 31 Aug 2016 to enjoy this buffet.